IBASSIN: Neil Farlow Wins 2018 Costa FLW Northern on Lake Erie! 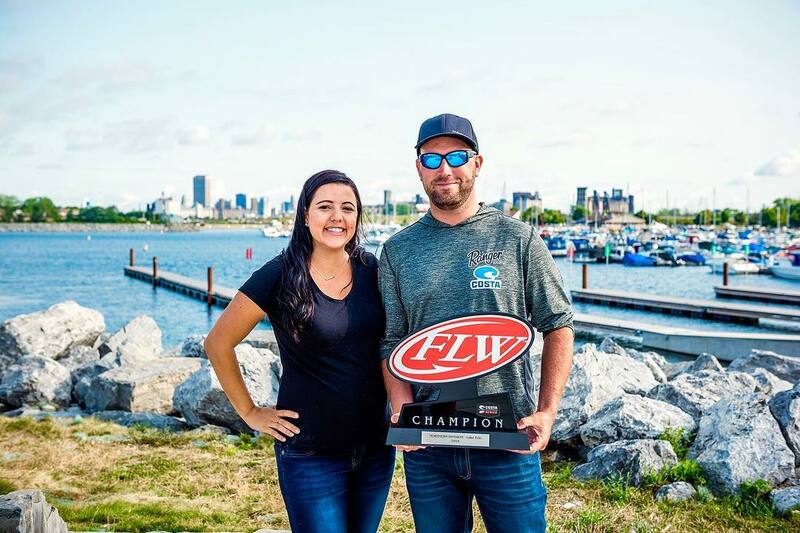 Neil Farlow Wins 2018 Costa FLW Northern on Lake Erie! Weather stricken event nets Canadian first FLW win! Day 1 good enough for win by the young Canadian. 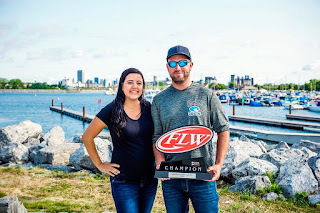 Pro Neil Farlow of St. Catharines, Ontario, Canada, won the Costa FLW Series Northern Division event on Lake Erie presented by Polaris with a single-day catch of five bass weighing 24 pounds, 4 ounces, after high winds forced tournament officials to shorten the three-day event to one day of competition. Farlow’s weight was caught on Thursday and was enough to earn him the top prize of $87,500 including a new Ranger Z518 with a 200-horsepower outboard engine. Farlow said he fished his way from Point Abino on the Canadian side of Lake Erie, to Myers Reef on the U.S. side, and then back in toward Buffalo. He said of the six areas he worked through, four of them produced his biggest fish. Farlow said bottoms that were a mix of rock and gravel or gravel and sand produced best for him. Farlow said he caught around eight bass throughout the day, including the largest of the event – a 6-pound, 6-ouncer – around 9 a.m. He weighed his fish all from one lure – a green-pumpkin-colored Reaction Innovations Flirt Worm on a drop-shot rig. Farlow’s 6-pound, 6-ounce bass – the biggest bass of the tournament in the Pro Division – also earned him Thursday’s Boater Big Bass award of $300. Sakae Ushio of Tonawanda, New York, won the Co-angler Division and a Ranger Z175 with a 90-horsepower outboard motor. Ushio earned his win with a one-day catch of five bass weighing 23 pounds, 7 ounces. Sowers caught the biggest bass of the tournament in the Co-angler Division Thursday, a fish weighing 6 pounds, 6 ounces and earned the day’s Co-angler Big Bass award of $200.